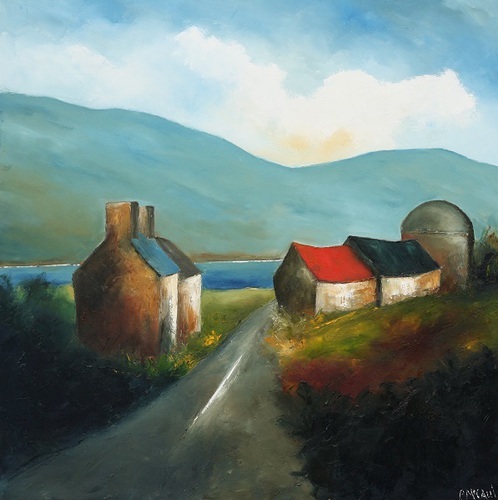 Padraig McCaul is a full time artist originally from Dublin and now based on Achill Island, where he lives with his wife Anne and three children. His work is widely collected both internationally and at home. 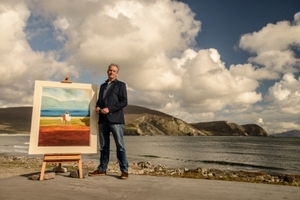 He runs an annual series of painting workshops on Achill Island between May and August. 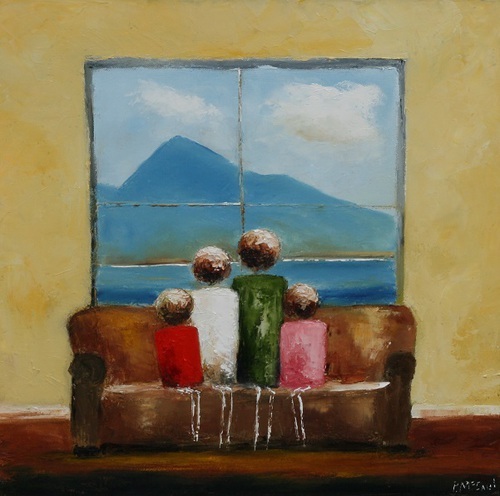 McCaul's paintings are inspired by the untamed landscapes and coastline of Ireland's Wild Atlantic Way. 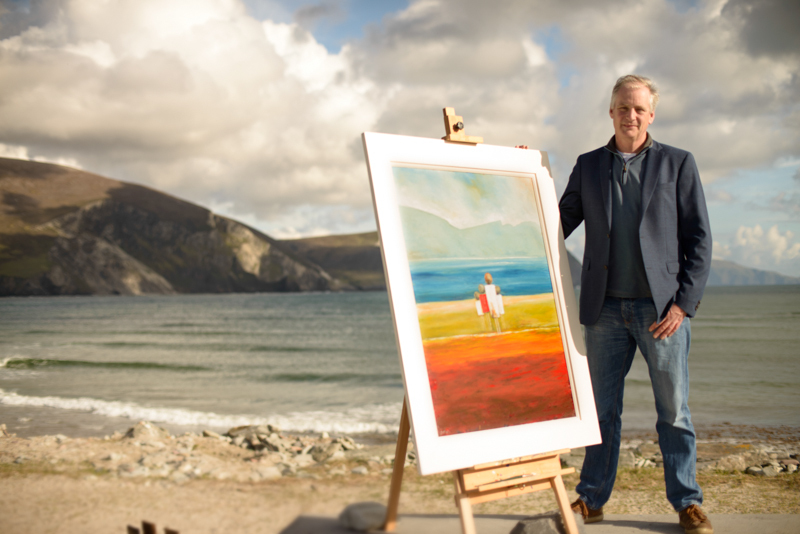 Achill Island, which is located off Ireland’s western seaboard has had a profound influence on his paintings, which are inspired by the natural beauty and colour of the surrounding landscape. 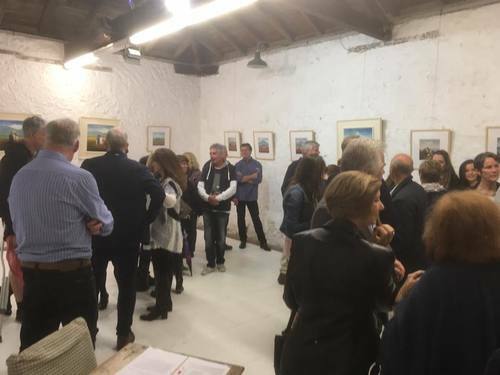 Describing his symbiotic relationship with his adopted home place, Padraig says ‘’It has everything that a landscape artist would want, there is the sea, the mountains, the rolling bog, and the sky and the light that changes every hour of the day. 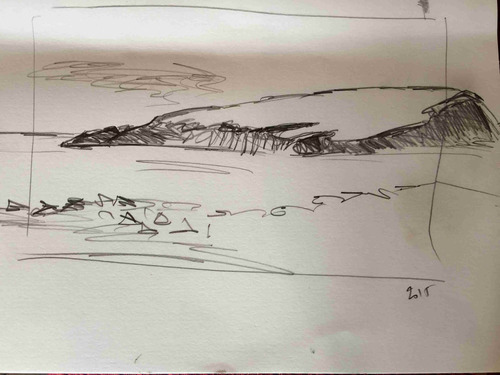 There is no reason to go beyond it, there is so much here to inspire painting’’. 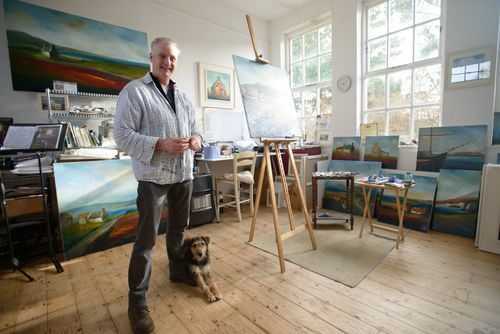 In his paintings Padraig uses primary colours; blues and reds and crimsons, in broad strokes, to depict houses, roads, farm buildings, country lanes in simple, uncluttered compositions. His paintings seek to elicit the emotion that allows room for the viewer to get lost in the subject. They are not just there, he says, to simply describe the landscape but to stir an emotional response to the feeling of the landscape, to convey the movement and the energy and the light around it. His work has evolved to include more figurative work, primarily based on his own family members using very simple spherical but equally colourful figures to denote their characters. The figures have opened up new possibilities to explore colour and emotion, with a particular emphasis on the warmth of close relationships between family and friends.